The first time a hawk dropped out of the sky, folded back its 4’ wings and torpedoed straight onto my fist, I knew I was addicted. It was a rush unlike anything I had felt before, and it completely overtook me. If it weren’t for the tremendous, frightening creature now perched on my glove staring at me, I might have lingered in that suspended disbelief forever. 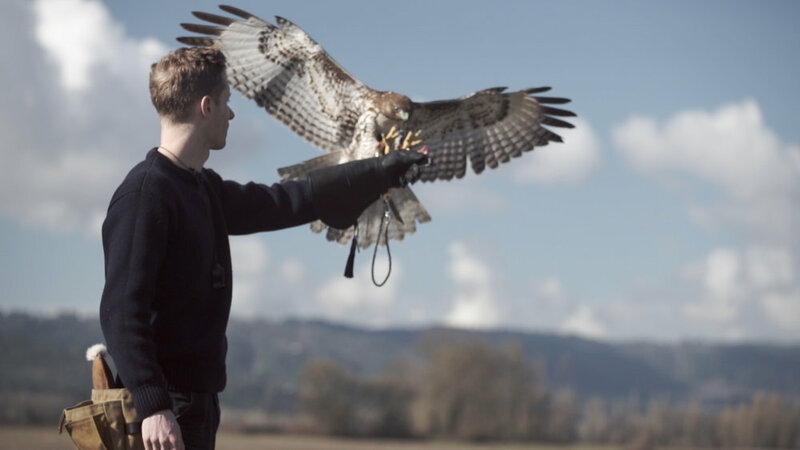 This video chronicles the process of training a wild red-tailed hawk, which is the first stage in a falconer’s journey. Falconry, once known as the sport of kings, has been practiced for 4,000 years. 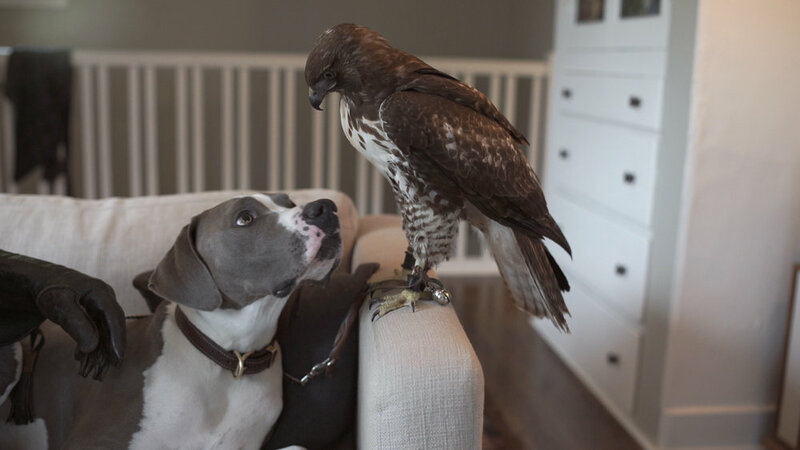 It is, simply, the use of trained raptors to hunt wild prey in their natural environment. The art of falconry has been preserved in its traditional form. The equipment and methodologies used today are nearly identical to those used 4,000 years ago. Falconry has offered me unique reprieve from the stresses of modern life. Any concerns I have about the “real world” are forgotten the second I untie my bird and set it free. But the opposite is not true. The things I learn while flying my birds don’t disappear when the flight is over. These creatures are persistent, patient, and forgiving. They do not lie or deceive. They care only about the things that truly matter, and there is so much we can learn from them. Adam Baz is an avian biologist and falconer living in Portland OR. Braden Spotts is a filmmaker and editor based in Portland, OR, and is founder of Robot Video Co.